Whenever you celebrate a friends birthday, wedding anniversary or another special day, you will most certainly be giving your loved one a gift. We crafty types like to put our artistic stamp on everything, so why not create a DIY gift bag that is as individual and unique as the gift itself. Not only will your packaging be beautiful but you will save money as well. If you follow these instructions, you can make custom gift bags at a fraction of the cost of the one you would find in a store. The great thing about these bags is that you can make them in any size you need, which can be very helpful for large or uniquely shaped presents that may be difficult to wrap. It is recommended using a heavier wrapping paper when making these bags--- lighter papers are a little harder to work with for this project. DIY Gift bags made from thinner paper may not be sturdy enough to hold very much weight without tearing. You certainly don't want your gift peaking through spoiling the surprise. If gift boxes are more your style, make sure to read this article featuring an easy no glue origami project.You only need two sheets of paper to make an incredible gift box. For more information, If you ’re interested in making a gift box, be sure to read this post. All in all, this project should take you fourteen steps and about 10 minutes from start to finish. The results are worth the time and effort. 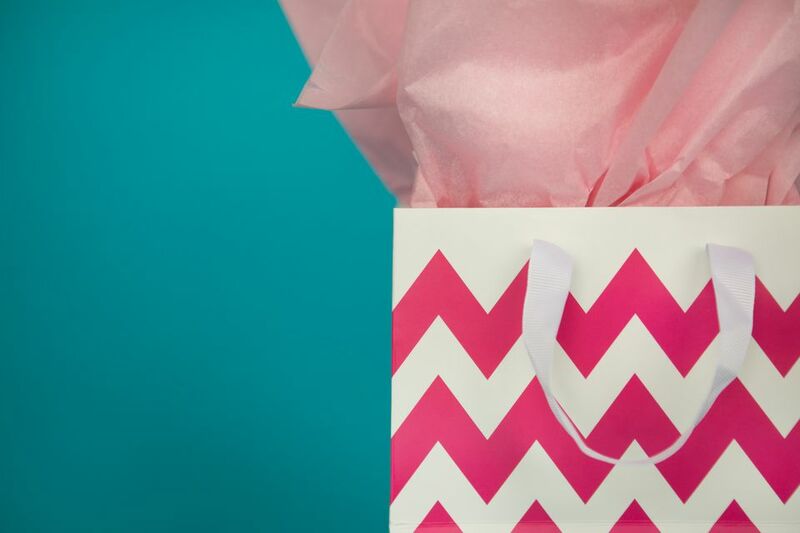 A DIY gift bag takes less time than a run to the store if you’re in a pinch! First, using the cloth measuring tape, measure the circumference of the box and add 1/2 inch. This measurement will be the width of the wrapping paper square. Next, measure the height of the box, add an inch plus 3/4 of the depth of the box. This will be the height of the wrapping paper square. Cut out a square of wrapping paper that match these measurements. Fold the wrapping paper 1 inch towards the inside top of the wrapping paper square. This edge will be the top of the gift bag. Place paper box bottom on the bottom right side of the wrapping paper square. The folded edge should be on top. Pull the wrapping paper on the right side of the box until there is a one-inch margin of paper on the top right side. 7. Pull the left-hand side of the paper over the box and using a glue runner, tape, or tacky glue, adhere the left edge to the top of the right edge of the paper. You will now have a cylinder paper shape around the box. Push the box forward a couple of inches. The next steps are the same for covering a box. Pull the top paper down over the box, and fold creases on the left and right-hand side. Fold the left and right creases toward the center. Fold the bottom crease upwards, and apply tape to secure. This side will be the bottom of the gift bag. Stand the bag upright and fold the sides of the bag together and release. If you are planning to put heavier items in the bag, you need to line the top portion and bottom part of the bag with cardboard. Cut a square of cardboard the same size as the bottom of the bag and place inside for extra stability. Cut a piece of cardboard the width of the top of the bag plus one inch high. Glue it under the top wrapping paper margin. .Punch two holes on the top of each side of the bag with a hole punch, and insert a ribbon for handles. Tie each end of the ribbon handle into a thick knot. Now that you have learned to make a diy gift bag, it is time to get creative. You can construct a DIY gift bag from any type of paper. You can use wrapping paper, specialty papers or even newspaper in a pinch. Your DIY gift bags can be beautiful "one of a kind" presentations, that let the recipient know you think they are special. Who wouldn't love that!